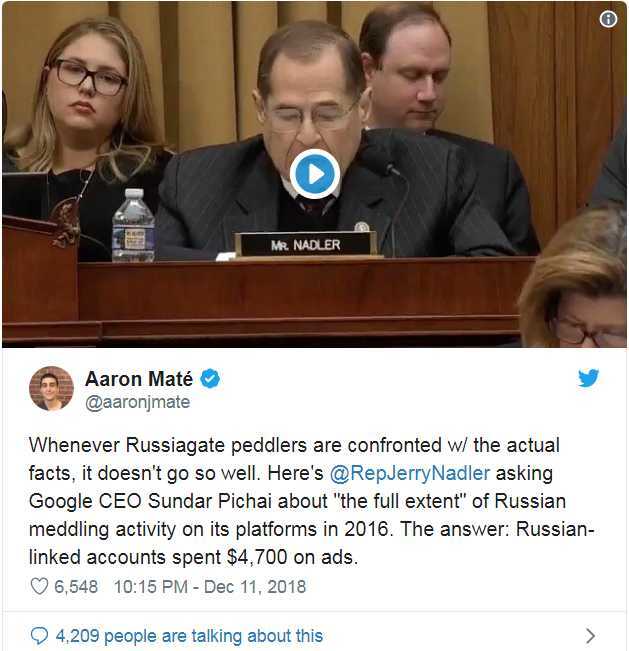 “We have – we undertook a very thorough investigation, and, in 2016, we now know that there were two main ad accounts linked to Russia which advertised on Google for about $4,700 in advertising,” Pichai responded. “A total of $4,700?” Nadler asked to confirm. “That’s right,” the Google executive replied.